More than 720 offices shut between 2000 and 2100. 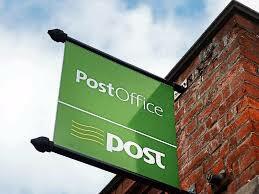 More than 720 post offices closed during the period of 2000 to 2010, when Fianna Fáil was in Government. The Dail has also heard that only 41 have closed since the change of government in 2011. It was stated that under Fianna Fáil post offices were closing 20 times faster than they are closing at present. The North West still continues to rank as one of the most government neglected regions of the country. No major new industry has been announced in years. Commercially, shopfronts are being abandoned on a sweeping scale, not least of them in Sligo town centre. Bank branches are being shut on an unprecedented scale, evidence of the desperate state of the regional economy. The Sligo -Leitrim area is represented by no fewer than four TDs, including Martin Kenny, Sinn Fein, Tony McLoughlin, Fine Gael, and Marc MacSharry and Eamon Scanlon, Fianna Fail. Scanlon is the Fianna Fail spokesman on business.